The Splitter-Blend provides two buffered parallel effects loops with a Blend control. 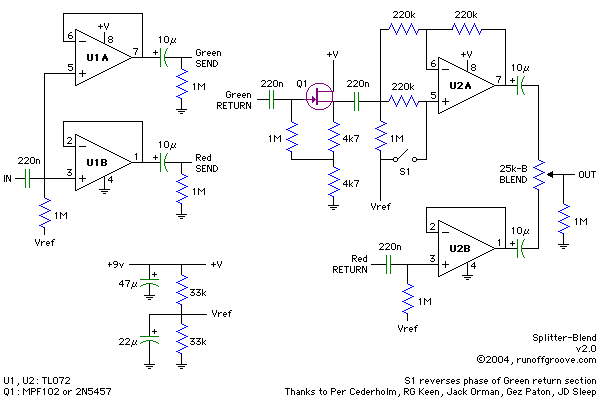 Also, a phase polarity switch is included to allow phase matching of the effect loops. Possible uses are blending two sets of effects placed in the loops, a signal splitter, a simple mixer, or to blend an effect with the dry signal. The phase inverter can be used for interesting results when mixing dry and effected signal. 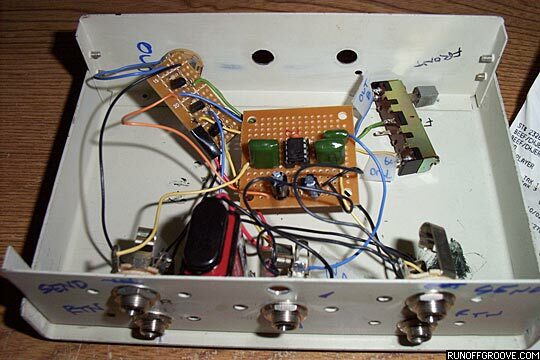 The original and revised Splitter-Blend were both developed using the generous contributions of the DIY-FX community. 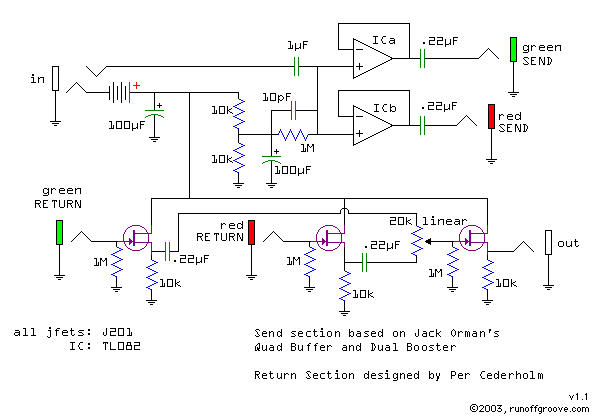 Thanks to: Per Cederholm for the original circuit's Return section, RG Keen for his polarity reverser article, Jack Orman for his Quad Buffer and Dual Boost circuits (available on the AMZ CD-ROM), Gez Paton for his patience and invaluable assistance with the revision process, and JD Sleep for his Parallelyzer article. 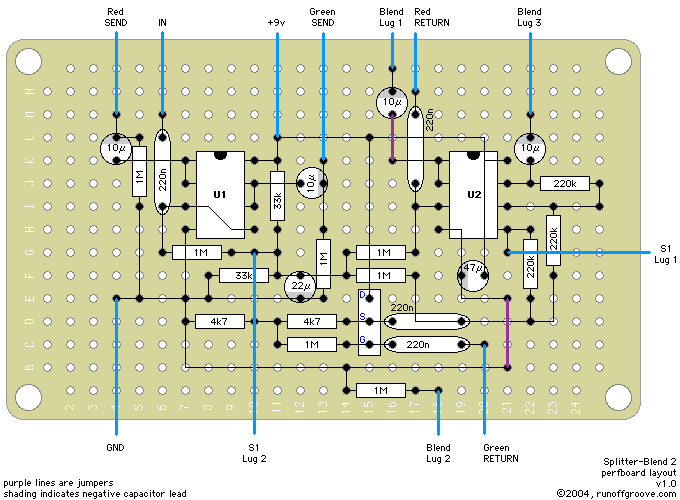 Will Percival contributed a PCB layout for the Splitter-Blend (PDF, 56k). Splitter-Blend by runoffgroove.com is licensed under a Creative Commons Attribution-NonCommercial-ShareAlike 3.0 Unported License.